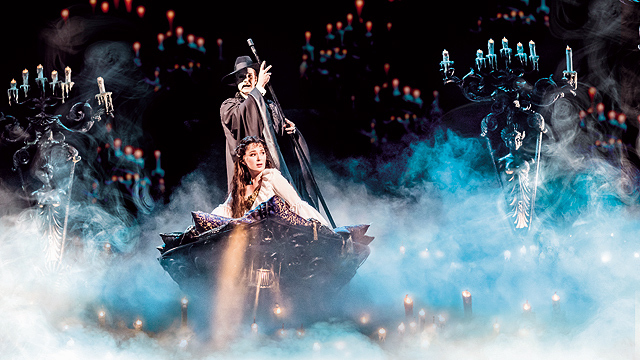 Fall in love with the city. (SPOT.ph) People living in the Metro may have developed a love-hate relationship with the city’s beauty and, well sometimes, grit. We're treated to a lot of awe-inspiring photographs that capture everyday life in the city on social media. Some artists, on the other hand, have found another way of illustrating the urbanity by sketching—something that provides some visual respite from the hectic grayness. 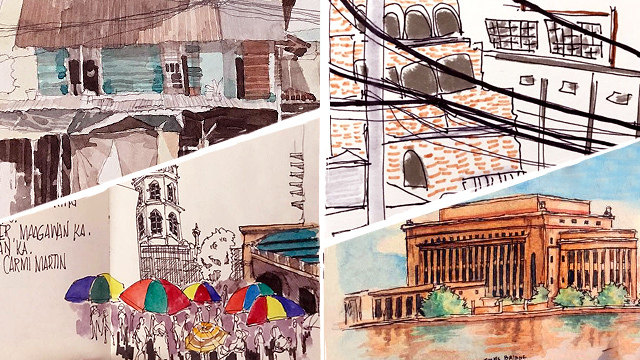 Here are 10 urban sketchers that will make you fall in love with Metro Manila all over again. Maria Sol Taule, a lawyer by profession, expresses her artistic side through her sketches. Her bio on Instagram—"people, places, politics on paper and watercolor"—gives an overview of her subjects, which range from street protests to heritage sites. Her style combines hues and shadows, balancing the meticulous with the approachable. Sketching is not new to Vin Quilop, who started drawing at the age of seven. Dabbling both in digital and watercolor painting, he takes inspiration from cultural spaces and scenery and turns these subjects into frame-worthy postcards. Patt Cayadona's sketches are vibrant, whimsical fragments of city life. Bright colors give life to the Barasoain Church, Andres Bonifacio Shrine, and the Manila City Hall. She also draws animals as well as fanciful objects that look like they’re straight out of a children's book. Tissa Pagaduan sketches to "pass happiness," as her profile suggests, and it shows in her artwork and the colors she uses. One of her most interesting works is a playful illustration of the streets of Sta. Cruz in Manila, complete with tangled lamppost wires, the Baroque church, and surrounding buildings. Ektad Duenas' feed reflects her penchant for drawing old churches. Expect to see quick sketches of Quiapo Church, the Bell Tower in Ilocos Norte, St. Martin of Tours in Bulacan, and the Manila Cathedral on his account. 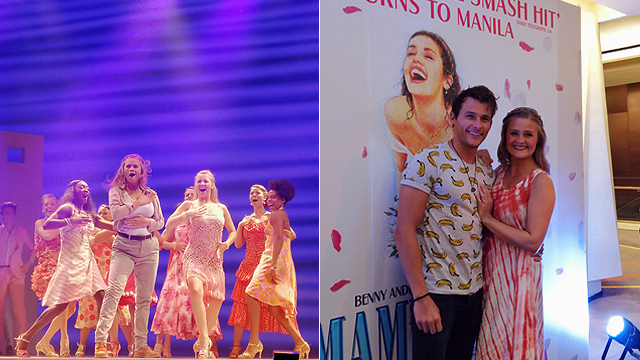 Manuel Jiongco's manifesto can be summed up in three words: Live, love, paint. He owns a blog with the handle "walk with man" where he publishes some of his sketches and DIY watercolor tutorials. Aside from portraits, Manuel also sketches human figures. A graduate of the University of the Philippines, Carina takes inspiration from her surroundings like the UP Quezon Hall and other heritage sites. She often uses a calligraphy pen in sketching and extends her works of art to stickers, postcards, and stationery. Meg Mag Mon considers herself a night owl and often spends her time doodling and drawing. She always has coffee on hand, of course, so expect her feed to have sketches of cafés. Her other subjects include mundane objects, the structures around her, and illustrations of animals. Charis Dunn Lopez' fascination for animation and graphic novels is very evident in his Instagram feed. His characters seem to be lifted straight out of a comic book, even in the way he illustrates the urban setting. He is a freelance illustrator and a 2D animator by profession. Being a lover of architecture and travel, Michelle uses watercolors in drawing the urban landscapes in the Philippines and Singapore. She also fills her feed with portraits of women using pen and ink.